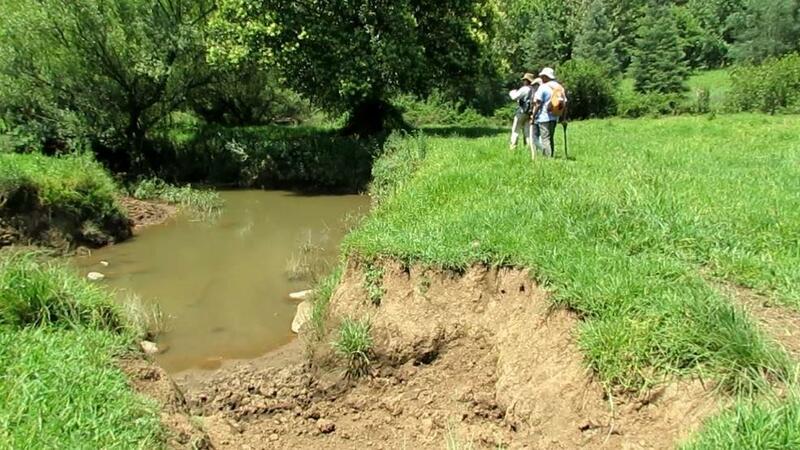 The Dargle River was not quite the doddle that the DUCT River Walk team imagined. They had planned to do it in two days as it was less than 20 kms, but in the end they spent four walking. 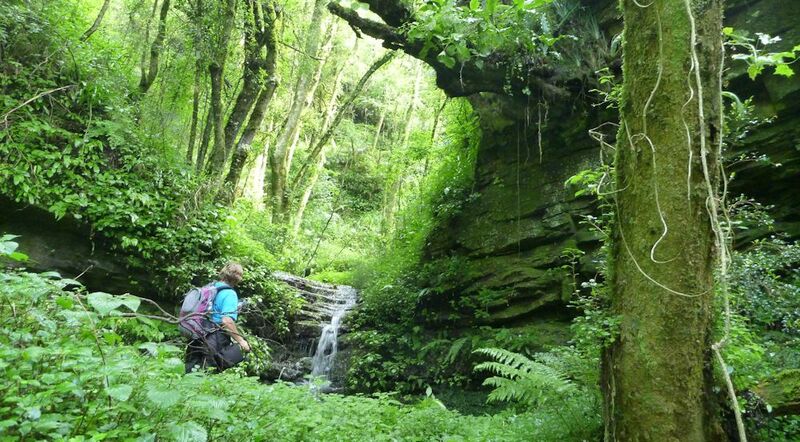 Climbing up the river through the forest, in and out of steep river banks, high stepping through overgrown kikuyu, ducking under and through thickets, though thick mud, wading in deep water, clambering over fences and rock hopping. 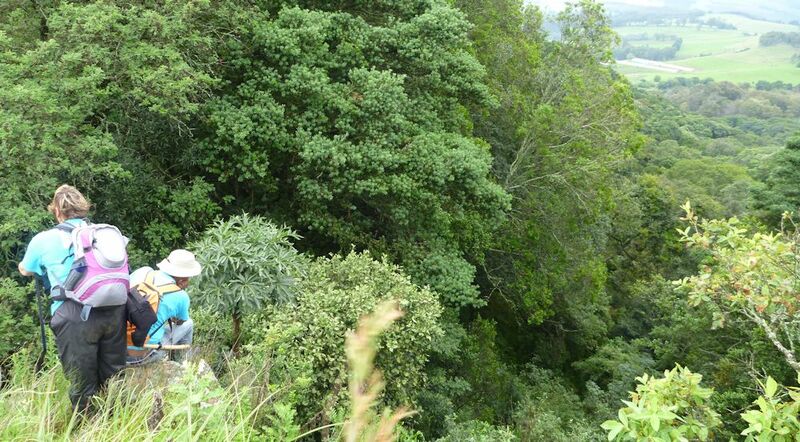 After trickling through the grassland for a few hundred metres, the river dropped straight down a cliff into the forest! This was certainly going to be an adventure. 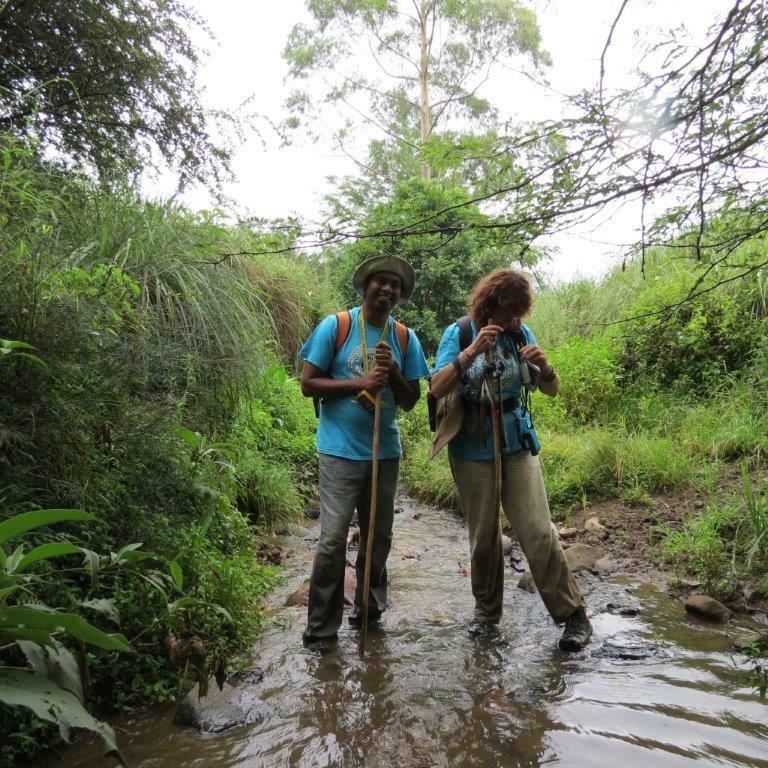 The team, consisting of Penny Rees, Preven Chetty and Pandora Long spent most of the first day exploring the stream in the forest, finding waterfalls, little pools and admiring the magnificent mist-belt trees. 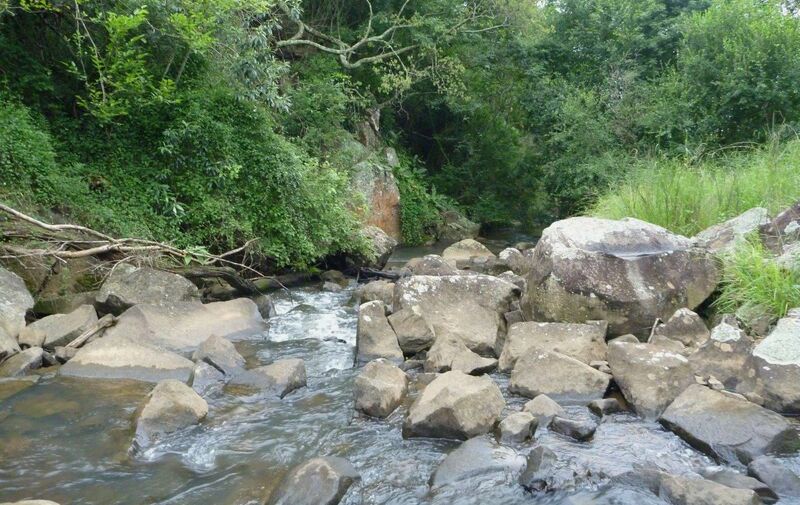 Unfortunately, it wasn’t long before the river hit human activity and the water quality dropped dramatically. 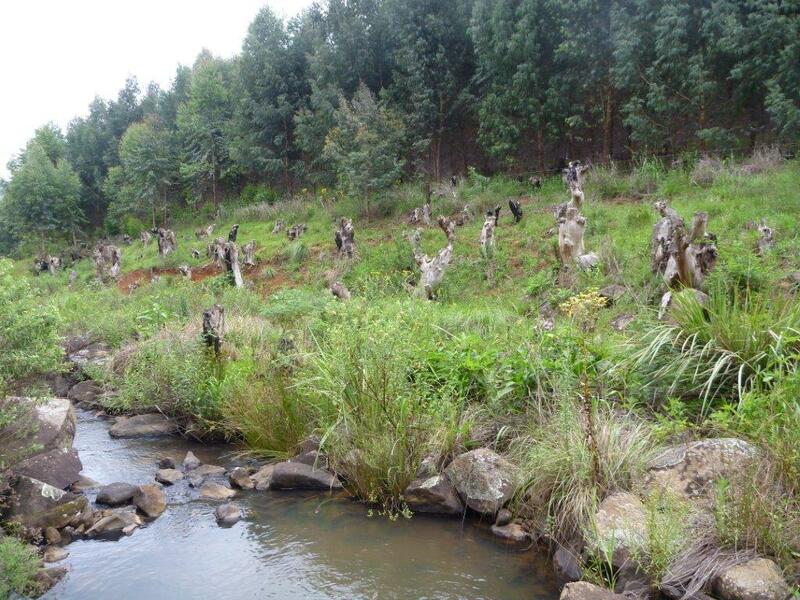 Although the river is still very picturesque in places, the banks are invaded by alien vegetation (bramble, bugweed, wattle), with kikuyu pastures right up to the edges and dams showing signs of nutrification. 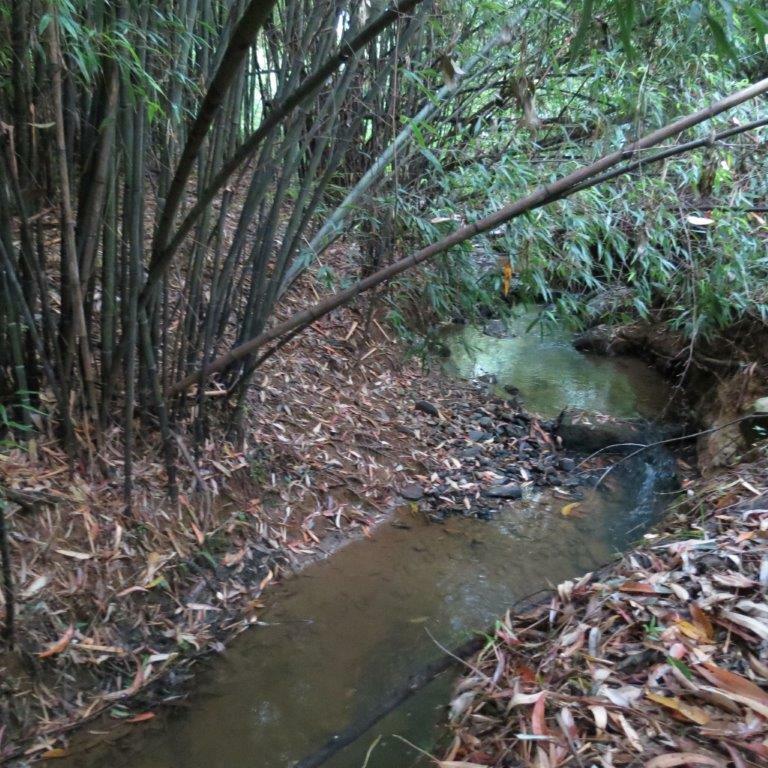 Along the way there were promising signs of efforts to clear the riparian zone (32m is the regulation). 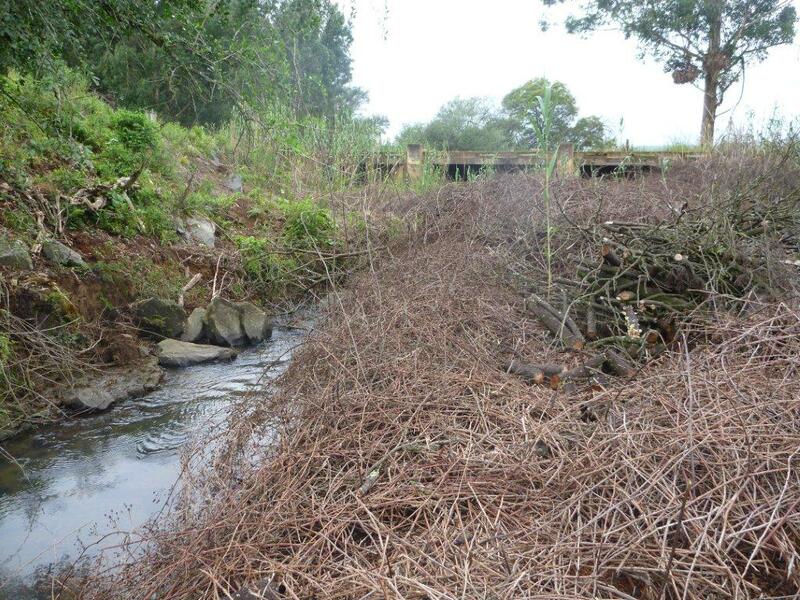 The Dargle Conservancy has begun clearing where the road crosses the river and, while it is a long term project, at least the water is visible now that the brambles are dead. 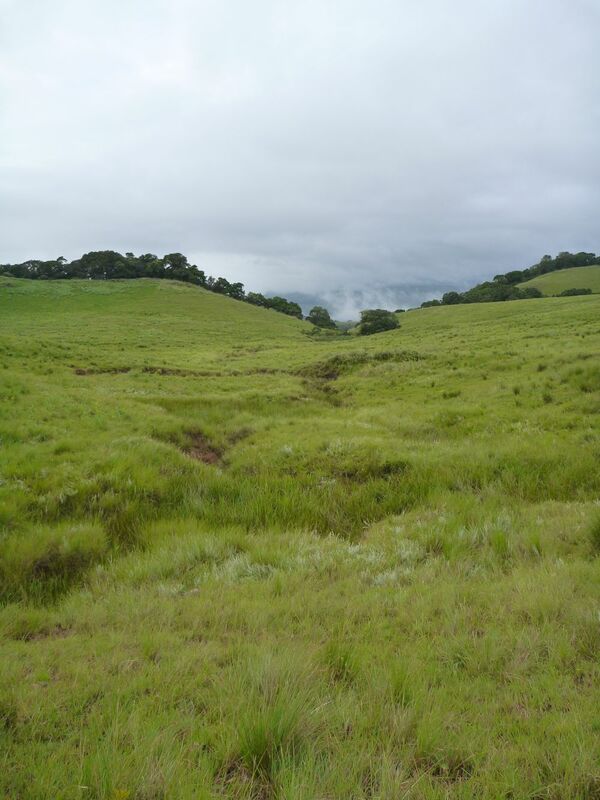 The highlight of the walk was a stretch of completely untransformed grassland and river. 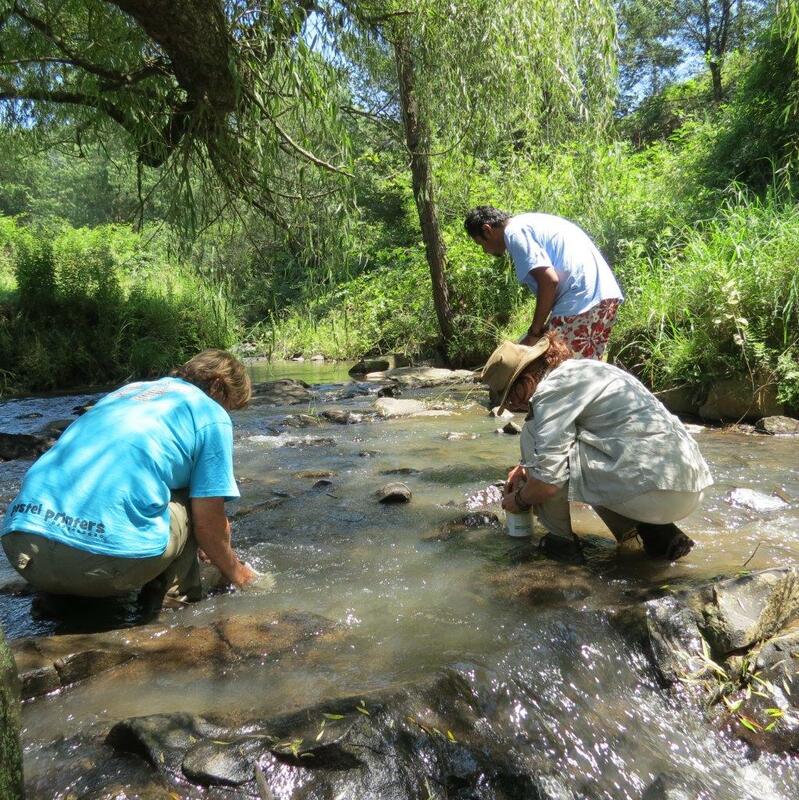 The team conducted miniSASS tests all along the way to determine the health of the river. 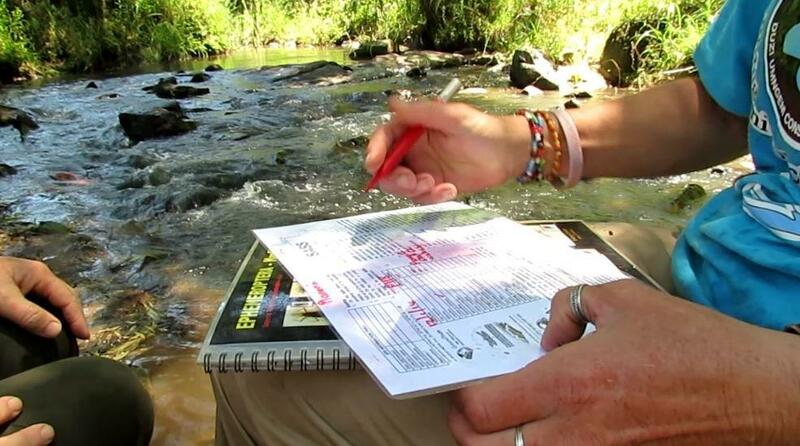 Penny explains: A river habitat is a mirror image of the more familiar landscape of, for example, Mfolozi Game Reserve – teeming with predators and prey, herbivores and scavengers, each with his preferred home, be it under a rock, burrowed in the sand, swimming on or below the surface. These tiny critters are the base of an intricate web which links rivers and the land and the sky – each one dependant on and impacted on by the other. 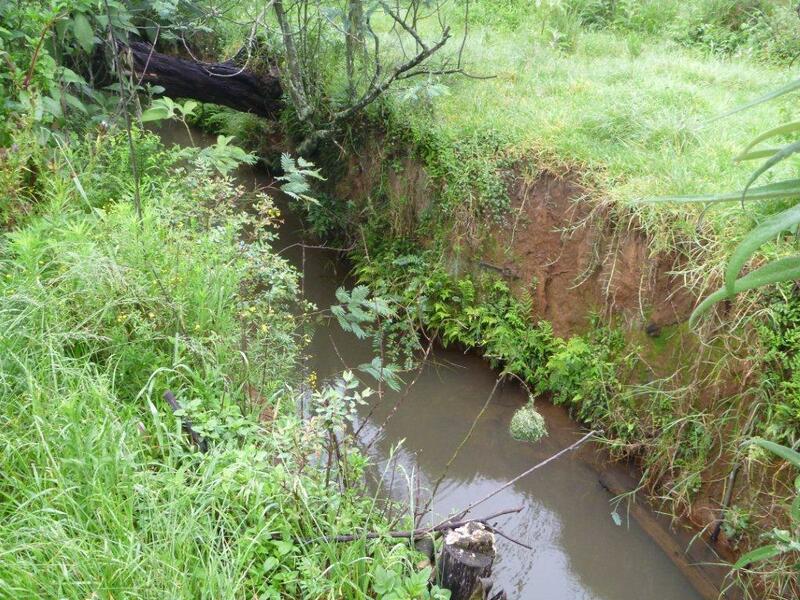 Damage to the river habitat has the same impacts on the river inhabitants as does damage to the bush which will cause problems for the Lions, Impala and Hyaenas. 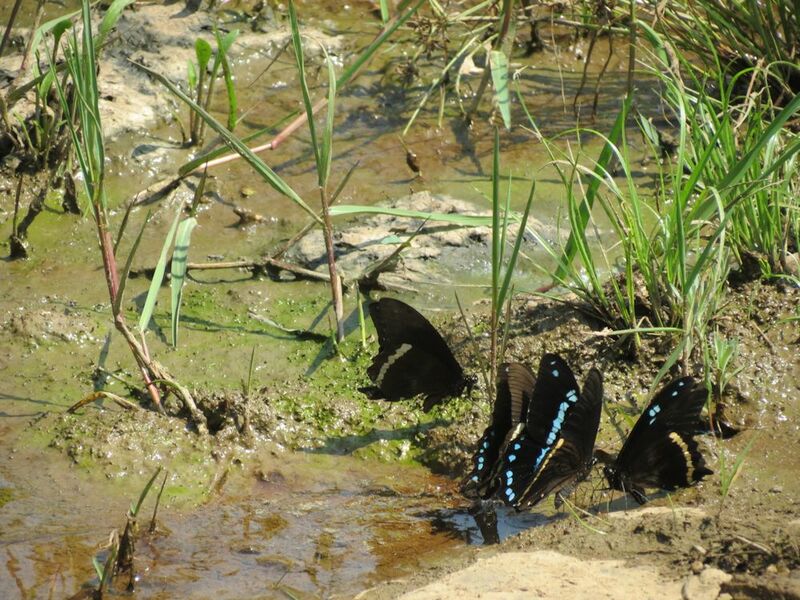 The different river inhabiting insects have different levels of tolerance to pollution, and so, if you can catch and identify them, you can get a good idea of the health of the river. 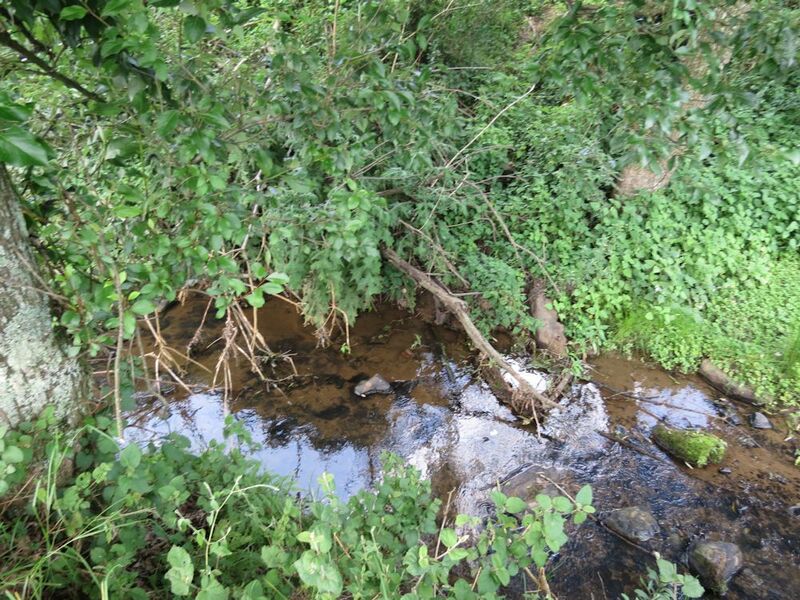 The other test that the River Walks do is Methalyne (Meth) Blue – which indicates the oxygen levels in the water. A sample of water is stained with Meth Blue (the oxygen component is stained). If there are bacteria present, the bacteria will eat the oxygen and the blue colour will fade. 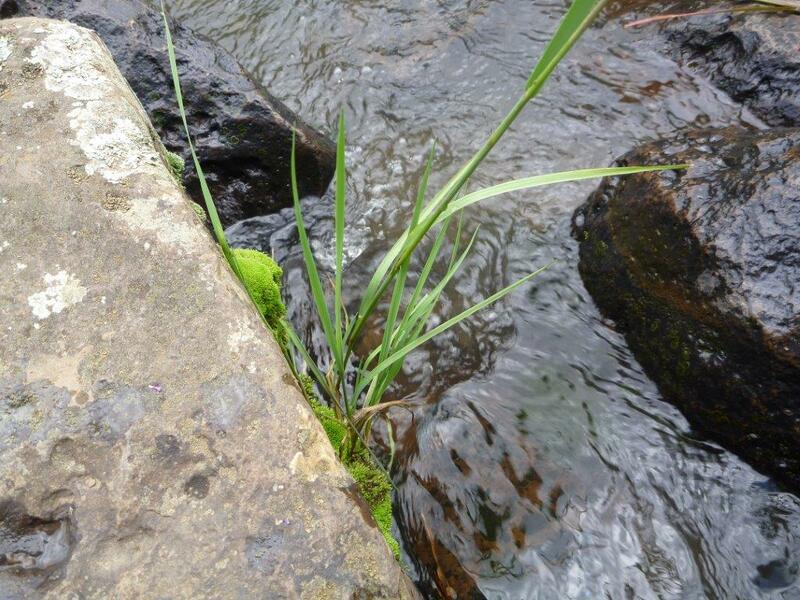 Most of the sites along the Dargle had high bacteria levels. 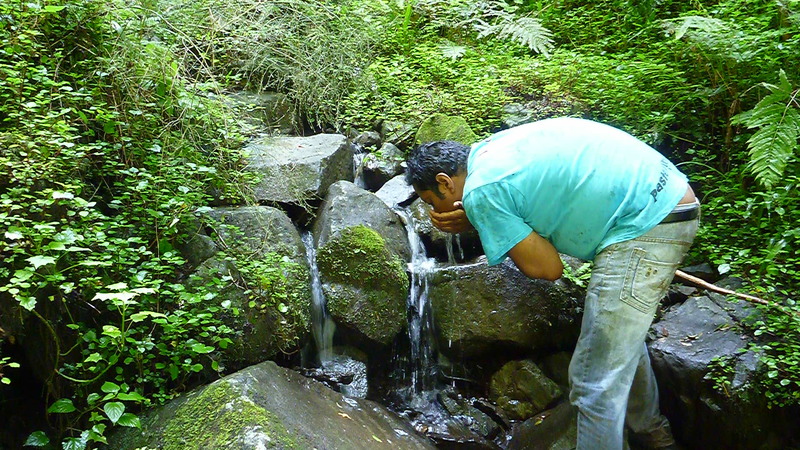 Rivers can heal themselves (although this is no excuse to contaminate or impact them). In order to heal they need a long enough stretch without any negative impacts. 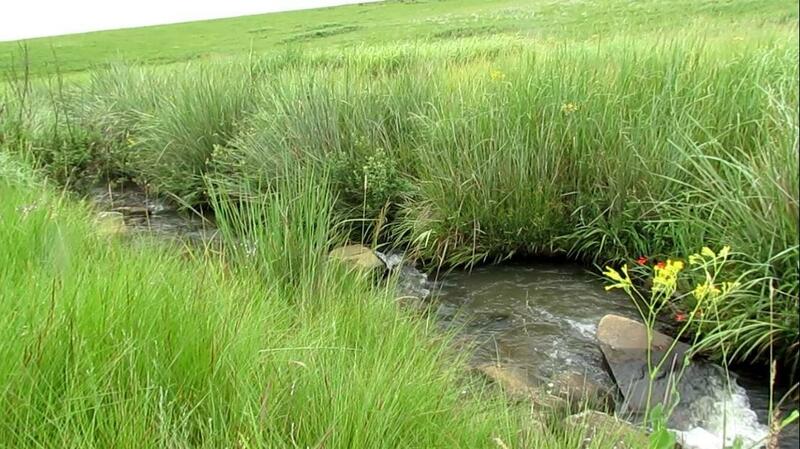 Wetlands clean rivers – the roots of the plants actually absorb pollutants and help to polish the water. 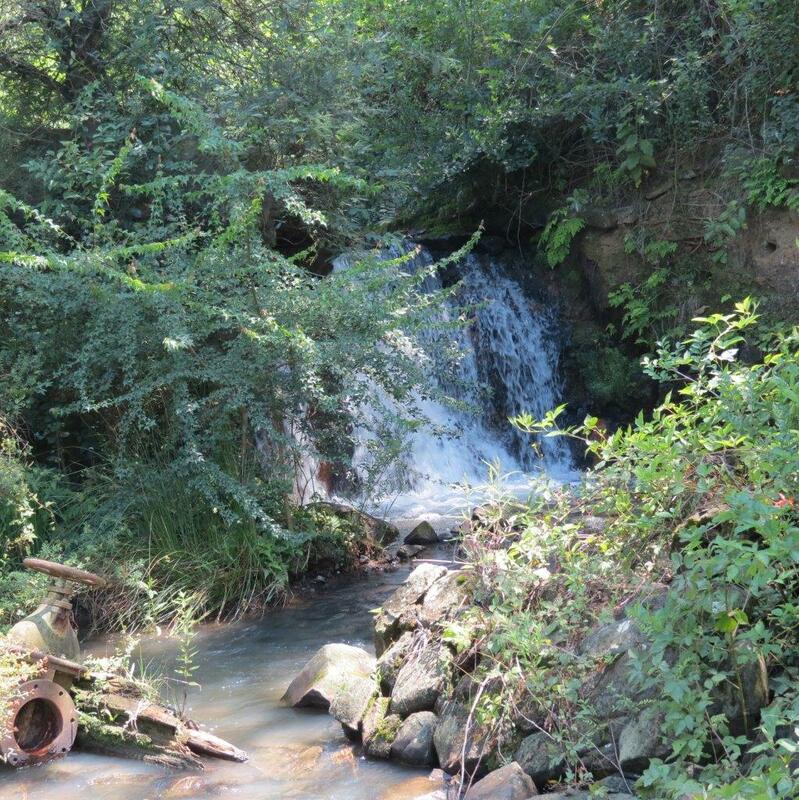 Keeping the river buffer area (32 metres wide from the edge of the water) in a natural state and clear of non-indigenous plants means rivers are healthier. Sadly Dargle is not a healthy river. 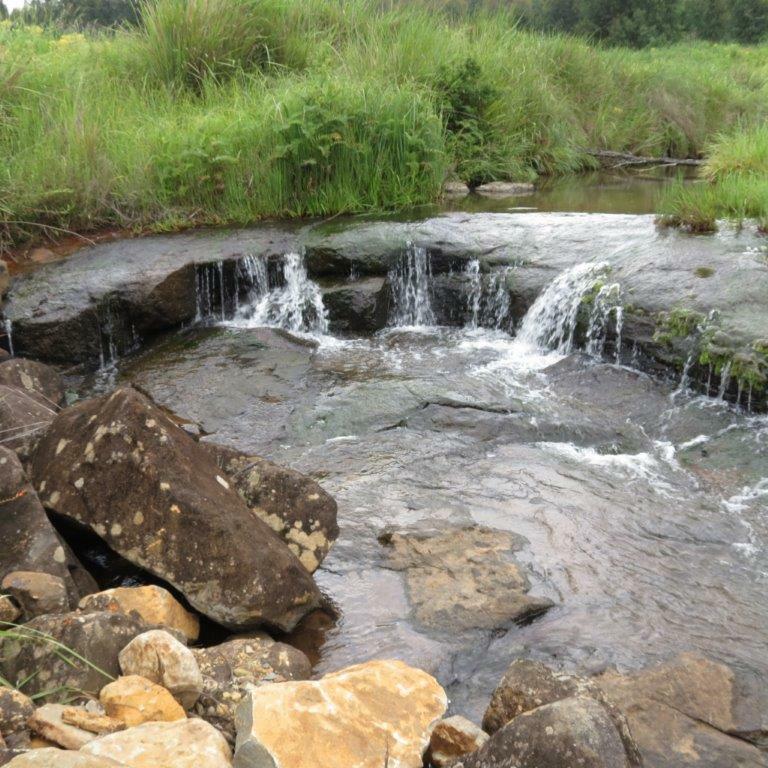 Midlands Conservancies Forum secured funding from N3Toll Concession for this initiative as part of their Protecting Ecological Infrastructure Programme – to monitor tributaries of the uMngeni – Lions, Dargle, Indezi and Karkloof. 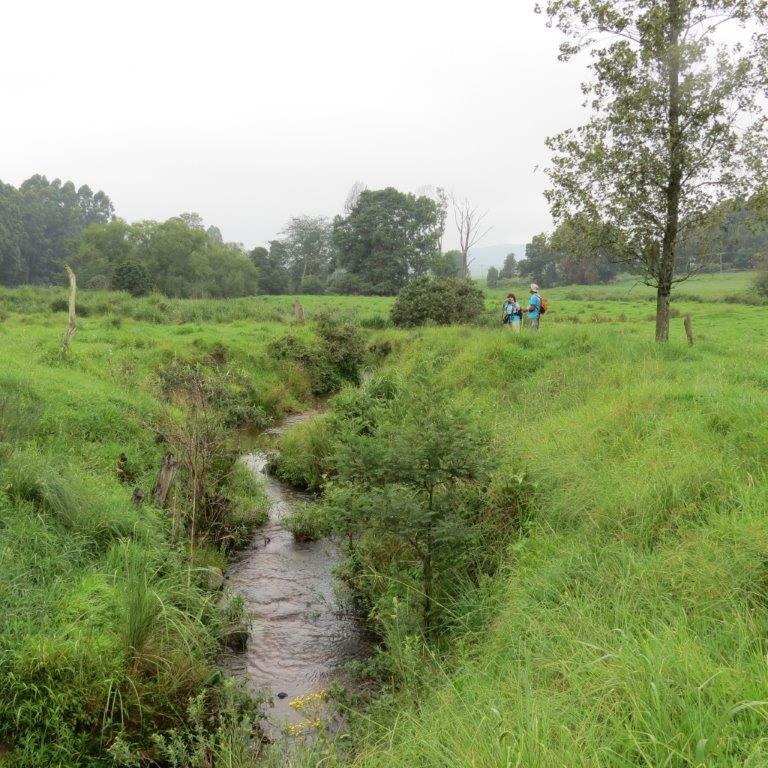 This entry was posted in Conservancy Action, Water and tagged dargle on January 22, 2014 by Midlands Conservancies Forum.